Twitter has suspended 235,000 terror-linked accounts over the past six months, according to a new report from the social media giant. The announcement comes after the White House has mounted the pressure on Silicon Valley companies -- including sending out intelligence chiefs to personally lobby California tech firms -- to censor extremists from groups like the Islamic State of Iraq and Syria (ISIS). 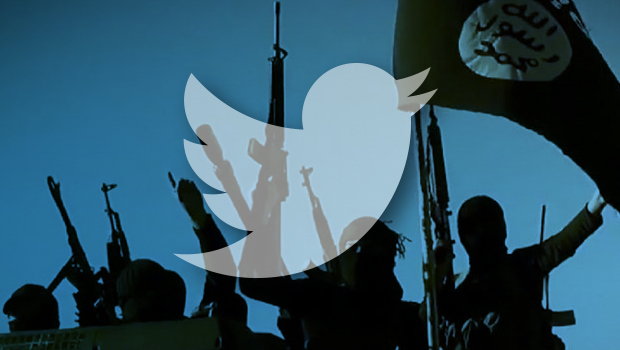 Earlier this year, Twitter revealed the suspension of 125,000 accounts related to terrorism since the middle of last year, bringing up the total number of deactivated accounts to 360,000 since mid-2015. The social media company noted that while there is no one “magic algorithm” for identifying terrorist content online, it was still working to expand its tool base to search out spam-bots and extremists. Twitter continues to collaborate with other social media platforms on the best ways to prevent the spread of extremist content, they said. Members of terrorist organizations like ISIS rely on social services to recruit and spread their message online, several reports have found. And earlier this year, the father of a young woman killed in last November’s deadly Paris took several tech companies to court for their role in spreading “extremist propaganda,” suing Google, Facebook, and Twitter in a U.S. District Court and claiming that the companies had given “material support” to the terrorists. But according to the Obama administration, ISIS is losing the fight on social media, with the extremist group’s Twitter traffic plummeting 45 percent in the last two years. And a 2016 Associated Press report showed an improvement over last year in the ratio of anti-ISIS content online compared to pro-ISIS messaging. Twitter also acknowledged that it is working with entities funded by governments in the United Arab Emirates, Indonesia, France to identify and shut down accounts -- a move likely to trigger accusations of censorship.